Blessings joined MG Corporation in early 2018. 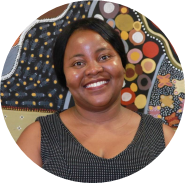 Blessings holds tertiary qualifications in accounting and is currently working towards her postgraduate qualification as a Chartered Accountant. Blessings has extensive experience in financial management and accounting, with over five years of experience working in financial management for a number of not for profit organisations.